They Robbed the world . Band Robbery on the name of the starving Millions….. They All Need to Return the Money Back Both Sides to the international body…!!! 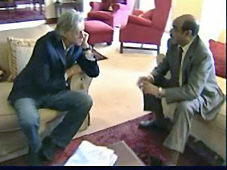 Addis Ababa – Bob Geldof said in Nairobi, Kenya that donor organizations involved in the distribution of relief in 19984/85 famine in Ethiopia at the time had condemned BBC’s recent allegation while discussing with Prime Minister Meles Zeanwi on Monday. 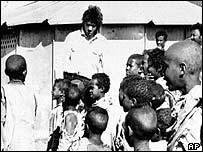 BBC’s allegation alleges that millions of pounds raised through Bob Geldof’s Live Aid concerts were diverted to fund TPLF rebel military operations in northern Ethiopia. Bob Geldof upped the ante in the row between Band Aid and the BBC yesterday by calling for the director of the BBC World Service, Peter Horrocks – who is also the BBC’s director of global news – to be sacked. 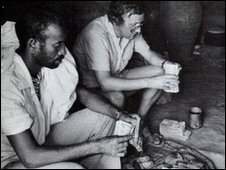 The musician-turned-poverty campaigner also called for two other BBC journalists to be fired after various BBC news outlets claimed that 95 per cent of the $100m aid donated, by Live Aid and others, to fight famine in rebel-held northern Ethiopia in 1985 was diverted to be spent on weapons. 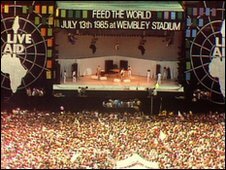 Geldof, who organised the Live Aid concerts that raised $250m to tackle famine Africa, also lamented the “intense systemic failure of the World Service”, which he said was once the jewel in the BBC’s journalistic crown. He claimed there had been a “total collapse of standards and systems at the World Service which has a special and particular duty of care to the truth”. The Band Aid Trust is preparing an official complaint to the broadcasting regulator Ofcom about the BBC story, which ran on all main BBC news outlets as well as the World Service. Last night, the Live Aid organiser called for the sackings of Mr Horrocks, Andrew Whitehead, the World Service news and current affairs editor, and Martin Plaut, the originator of the story, which Geldof claimed was “thoroughly discredited and sexed up”. Geldof said he was doubly disappointed because he had always been a great supporter of the World Service. He said it “beggared belief” that BBC journalists could take seriously a claim that 95 per cent of the aid to Tigray was spent on weapons. “Where were all the dead people then? If no one was getting food, why was nobody dying? That would have been one of the first questions I’d have asked,” he added. 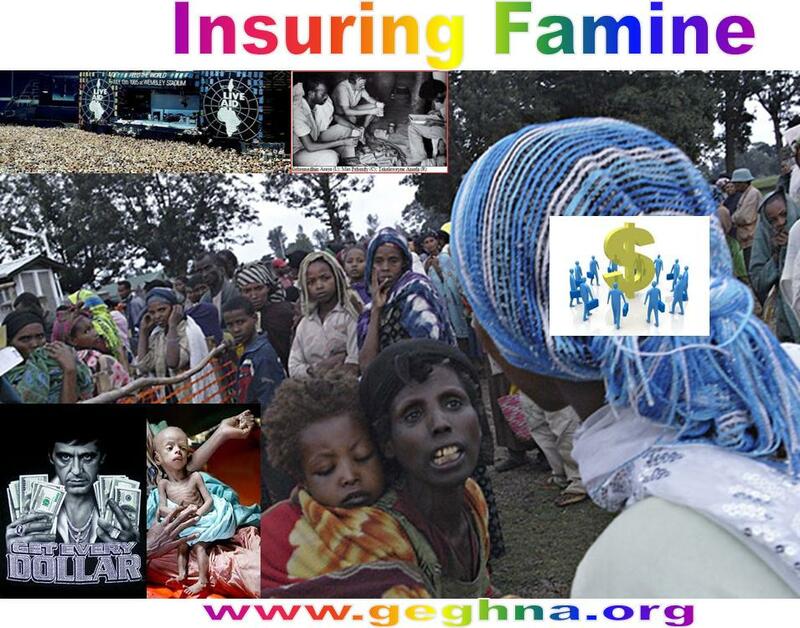 There were not many deaths in Tigray “because they were getting help – and massive amounts of it”, he insisted. In an article in today’s Guardian newspaper, Geldof says the BBC World Service has a particular duty of care “because in thousands of small rooms in the many dark spots of our planet, people huddle secretly and in great danger [to listen to the World Service] to hear the reality and the truth behind their situation. And to tabloid all that away of an instant? Tragic beyond measure”. He claims that the reporter, Mr Plaut, and his producers and editors, have, on the basis of unsubstantiated claims, compromised the neutrality of the Red Cross, which relies on its neutrality for access to war zones, dungeons and concentration camps. 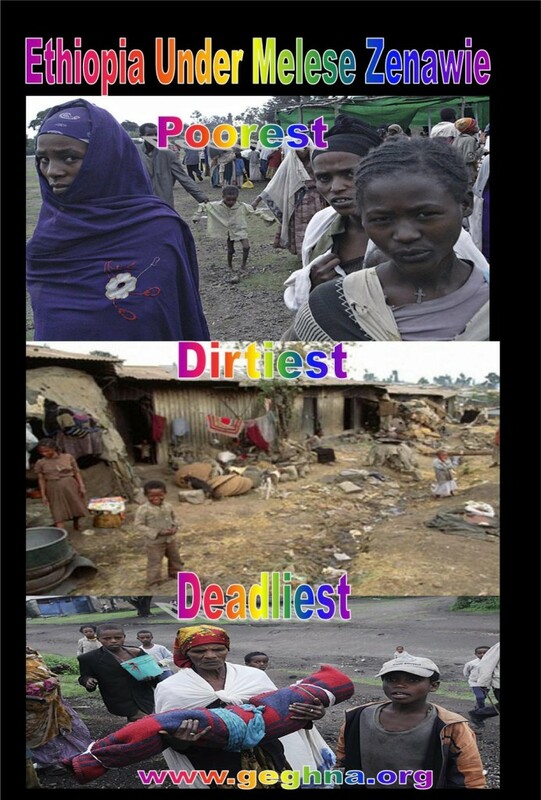 Senior White House advisers, high-level United Nations delegates, senior British diplomats, many aid agencies, and the Prime Minister of Ethiopia who led the Tigray rebels at the time, had all refuted the BBC story, Geldof insisted, “and yet the World Service is so far off the rails it cannot recognise or acknowledge the truth”. The Independent asked for an interview with Mr Whitehead but a BBC spokesman said: “Sorry, we won’t be able to accommodate your request.Ethiopia. Irish singer Bob Geldof is said to have been left furious after claims broadcast on BBC said that the millions of dollars raised by Band Aid were diverted to Ethiopian rebels. Band Aid was a charity featuring British and Irish musicians, founded by Geldof, 58, in 1984. Allegations that 95 percent of aid money donated to help victims of the 1985 Ethiopian famine were siphoned off had been made in a BBC radio programme broadcast on March 3. Two former senior commanders in the Tigrayan People’s Liberation Front (TPLF) told the BBC that a vast majority of the money was stolen by rebels to buy weapons for their fight to overthrow the Ethiopian Government. 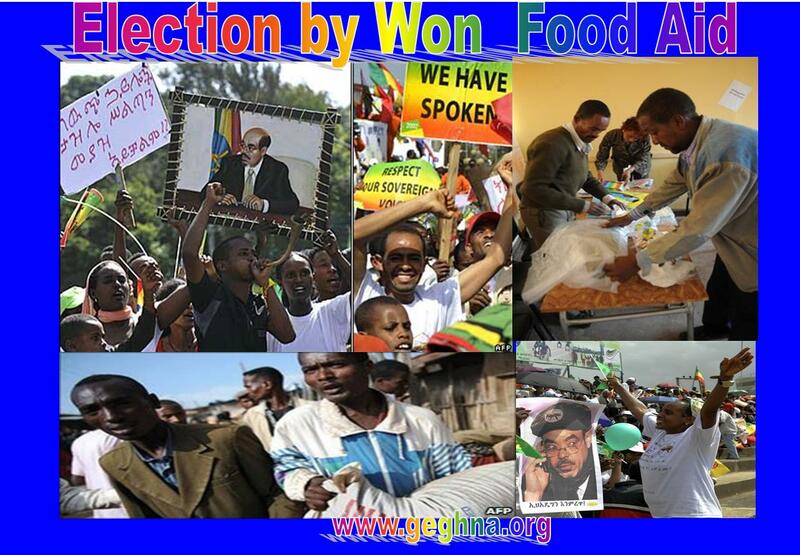 The claims sparked controversy, not least because one of the rebel leaders implicated was Meles Zenawi, now the Prime Minister of Ethiopia and still a leading recipient of Western aid. Band Aid officials used networks of aid agencies to deliver relief through Sudan to the epicentre of the famine in rebel-held Tigray. Aregawi Berhe, the former military commander of the TPLF, told the BBC that rebels put on a “drama” to get their hands on the relief money, posing as merchants and handing over bags of sand instead of grain in exchange for cash delivered by naive Western aid workers. Gebremedhin Araya, another former rebel leader, told the BBC that he was “given clothes to make me look like a Muslim merchant”. Nick Guttmann, Christian Aid’s director of emergency relief operations, fell short of denying the allegations but said that the story needed to be put into context. “We were working in a major conflict, there was a massive famine and people on all sides were suffering. Both the rebels and the Government were using innocent civilians to further their political ends,” Times Online quoted him as saying. Geldof dismissed the claims, saying, “the story and the figures just don’t add up”. 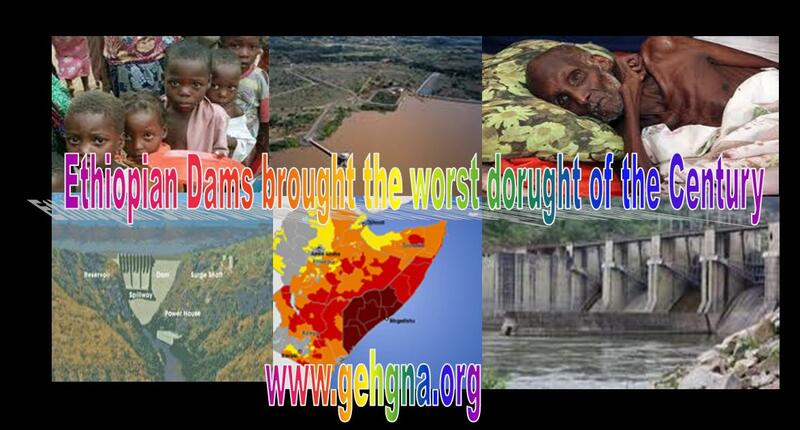 “If that percentage of money had been diverted, far more than a million people would have died,” he said. 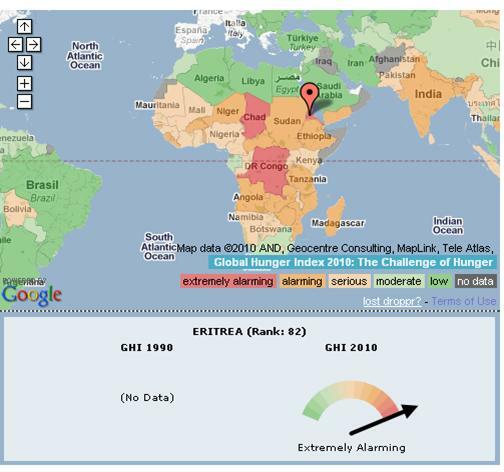 “It’s possible that in one of the worst, longest-running conflicts on the continent some money was mislaid. But to suggest it was on this scale is just b******s,” he stated. Geldof’s stance was supported in a letter to the BBC by former Band Aid officials, including their Ethiopia director, which said that all the money dispensed in Tigray had been accounted for by the organisation. “The public should not think that the money they so generously contributed to one of the poorest countries in the world was misused or given in vain,” it said. Max Peberdy, a Christian Aid worker whom the rebels claimed to have tricked into handing over 500,000 dollars, said he did not believe that the money was diverted. “It’s 25 years since this happened and it’s the first time anybody has claimed such a thing,” he said. Geldof blamed the story on the grievances nursed by the two former rebel commanders, who had since fallen out with their former compatriots and fled into exile in the Netherlands. Jamie Drummond, executive director of One, the charity co-founded by Geldof and Bono, said that he had travelled to Tigray with Geldof six weeks ago to see agricultural projects that were funded by Band Aid and Live Aid – which he said could not have been achieved if the BBC’s allegations were true. Bob Geldof has launched a furious attack on the BBC World Service over its claim that 95% of the $100m aid raised to fight famine in northern Ethiopia was diverted by rebels and spent on weapons. 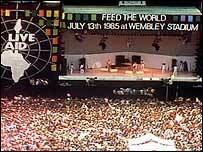 Writing in today’s Guardian, the musician and mastermind of the 1985 Live Aid concerts accuses the World Service of a “total collapse of standards and systems”, threatens it with legal action and calls for the sacking of the reporter behind the story, his editor and the head of the World Service, Peter Horrocks. Geldof also uses the Guardian’s Comment is Free website to lash out at the journalist Rageh Omaar for penning a “ridiculous” opinion piece for the site on Monday in which the former BBC correspondent defended the corporation’s story and its right to investigate the fate of millions of pounds of aid money. 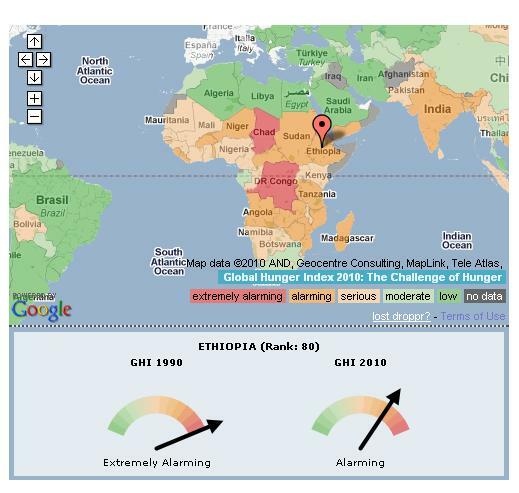 The row began last week when the World Service broadcast an Assignment programme in which a former Ethiopian rebel commander claimed that in 1985, only 5% of the $100m destined for famine relief in the northern province of Tigray reached the hungry. 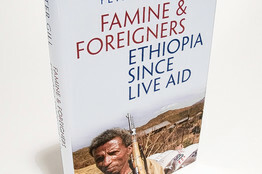 The report, by the World Service’s Africa editor, Martin Plaut, also carried an allegation from another former rebel that the Tigrayan People’s Liberation Front had tricked aid workers into giving them money meant to buy food for the starving. Geldof and the Band Aid Trust are talking to some of the world’s biggest charities – including Oxfam, Unicef, the Red Cross, Christian Aid and Save the Children – about reporting the BBC to the broadcasting watchdog Ofcom and the corporation’s governing body, the BBC Trust. But Geldof has now announced his intention to go further. In his article, Omaar had argued that while the interplay of politics and aid was complicated, the BBC felt it had uncovered “credible evidence” during a nine-month investigation and was entitled to broadcast its findings. Geldof, however, has hit back at Omaar – and the media as a whole – for continuing to cover the allegations, which he insists are baseless. “How can you deign to lecture on being above criticism, prompted by the criticism I meted out last weekend to your incompetent mate and his associates at the Beeb, while falling back on the implied assumption that you and by extension all journalists, are above the criticism yourselves? Get it straight, pal – you are not. Either as individuals or an organisation. It’s about time a little more humility was allowed into your closed, self-regarding media world. But like the bankers and the MPs these days, you lot just don’t get it, do you? He also asks Omaar why Plaut’s allegations have only now surfaced. A BBC spokesman said the World Service would continue to defend its report. “This was a well-researched programme and the BBC stands by its journalism,” he said. “We are happy to repeat that there is no suggestion that any relief agency was complicit in any diversion of funds”. Rageh Omaar’s piece “Even Band Aid is not above criticism” is ridiculous. It is of course not about me, or Band Aid, but rather a defence of journalistic exceptionalism, and the now thoroughly discredited BBC World Service programme that “sexed up” a claim that nigh-on the entire humanitarian relief effort by all aid agencies was diverted to arms in Tigray province in 1985. He allies himself with the programme’s dubious technique of using a “star” name to attract attention to an otherwise unexceptional or dubious point of view in the hope that it will gather attention. So let me first say that far from being above criticism, should Rageh or the World Service colleague he seeks to protect have done the basic journalistic gig of doing a teensy bit of research before they write their stories by, say, doing something basic like maybe Googling my name, he would immediately be overwhelmed by a 35-year torrent of vituperation and condemnation of everything about me – from my suspiciously foreign-sounding name to my shaving and bathing habits, hairstyle (fair enough! ), my partners, children, domestic life, temperament, driving habits, political views, attitudes, clothing, style, music, driving and on and on. No, Rageh, rest assured, I am definitely not above criticism – but again, please, for the sake of veracity, and again, I extend this to the wretched Martin Plaut, your fellow journalist, stop venturing palpably untrue statements dressed up as fact. And how arrogant you are, how self-important, that you should deign to lecture on the implied assumption that you, and by extension all journalists – and specifically in this case the BBC World Service – are above the criticism that you are so busily wagging your finger at me for, and which I (clearly getting above my station) have last weekend meted out to your incompetent mate and his associates at the Beeb. Get it straight, pal – you are not. Either as individuals or organisations. It’s about time a little humility was allowed into your closed self-regarding little media world. But like the bankers and the MPs these days, you lot just don’t get it, do you? As for Band Aid, well, as a trustee said to me, sickened upon seeing the shameful Times cartoon which accepted the BBC story as gospel (of course) without asking any questions: “We’ve taken it on the chin for 25 years and never said anything. Not this time.” Definitely not this time. The Band Aid Trust is reporting BBC World Service to Ofcom and the BBC board of directors, and we have requested transcripts of all interviews from the show in question from the deputy chairman of the BBC. We will also take a view on what legal action we may take both against the journalist in question and World Service in general. Criticism, no problem, Rageh. Calumny, no. Band Aid, too, Mr Omaar, has been a constant target over the years, had you but had the decency to bother checking before uttering your pathetic interpretation of press freedom as allowing any clown carte blanche to interpret reporting as an excuse for half-truth, distortion, and innuendo and unsubstantiated claims. The journalism of “making it up”. As you probably know anyway, but it just doesn’t fit into your pompous guff this time, Band Aid has been under the most intensive scrutiny since and most particularly during the mid-80s. Quite rightly, too. We have an obligation to all those who entrusted us with their money and more particularly to those in whose name it was given. That is what I and my fellow trustees have been doing for the last 26 years. Same guys, same trust. And we ain’t stopping now. Pretty weird, however, that not one, not a single one of the dozens of journalists of record and others who have travelled with me or covered Band Aid “discovered” Martin Plaut’s “story” (and story is indeed what it is). Some feel the press has a right to lie. Rageh, no such right exists. But this BBC story was neither about me nor Band Aid. By disingenuously posturing as “serious” reporting, it pretended the total failure and negligence of all the great humanitarian workers and their organisations in the worst famine in modern times, and how miraculously not one of them spotted that no one was getting food despite everyone supplying it! It beggars belief that anyone would take that seriously. Where were all the dead people then? If no one was getting food, why was nobody dying? That would have been one of the first questions I’d have asked. But they weren’t dying because they were getting help, and massive amounts of it. But of course no one did ask where the bodies were at the World Service. That and many, many, other unasked questions. No, this story here is of the total collapse of standards and systems at the World Service, which has a special and particular duty of care to the truth. Why? Because in hundreds – perhaps thousands – of small rooms in the many dark spots of our planet people huddle secretly and in great danger to hear the reality and the truth behind their situation. Because in deserts and jungles, I have listened to the world tell its story to me through this miraculous brave station. And to tabloid all that away of an instant? Tragic beyond measure. Where were the producers and editors and seniors? Why was Plaut allowed to go mad on his pre- and post- media interview circus around the world with bonkers wild accusations? Just to get an audience? Did he and the World Service for one second comprehend the enormous damage and danger he immediately put every humanitarian worker in? Particularly the huge, brave and brilliant Red Cross? Did he not consider, for one microsecond, the consequences of accusing them, with absolutely no evidence whatsoever, that they had handed over 95% of their cash to purchase arms? It literally beggars belief at the enormity of the consequence had his lie not been nailed immediately and with as much vehemence as could be mustered. How appalling the utter and total disregard or incomprehension of the result of his actions. What if the Red Cross, now compromised in their neutrality, were ordered away from war zones, or forbidden access to the deepest dungeons, or concentration camps? What then, Rageh Omaar and Martin Plaut? What then of your smug certitudes and thin pieties? Then you could report on the blood on your own hands rather than falsely smear it over the hands of others. How dare you, Rageh Omaar, attempt to defend the awful indefensible. Just for that alone, Plaut should be fired. You people, you self-important mediators of “news”, should wise up and accept a little humility rather than attack the aid agencies and their workers for being above criticism and ask yourself, as I do, who the hell are you to lecture? Just as the Ross-Brand affair exposed the systemic weaknesses of the BBC in the area of entertainment, so this now does in the news sector of the World Service – albeit with far more drastic consequences. Where were the editors, subs and producers? As the Independent rightly asked, “Did the bells not go off” early on in this sorry tale? Where were the checks, balances, neutrality, even-handedness? They all failed at the World Service. Worse, they inconsistently and continuously contradicted themselves in their ludicrously pompous Rorke’s Drift-type face-saving insistence on “sticking by their story”. Well, they were right in the use of the word “story”. 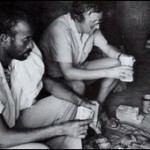 Despite the on-the record refutation of everything in Plaut’s report by very senior White House advisers, high-level UN delegates, senior British ex-ambassadors and diplomats, all the aid agencies, the leader of rest the Tigrayan relief group at the time, the prime minister of Ethiopia and rebel leader at the time, and me, and without a single shred of evidence, not one iota of evidence, they cannot bear to acknowledge the grim reality, the actual truth – that they were wrong. The BBC World Service is so far off the rails it quite literally cannot recognise or acknowledge truth when it encounters it. Martin Plaut, Andrew Whitehead and Peter Horrocks should be fired. There should be an immediate investigation into what went wrong; steps should be taken to rectify the identified faults; and the World Service must work very, very hard to re-establish its glorious trust and hard-won reputation as the world broadcaster of excellence.